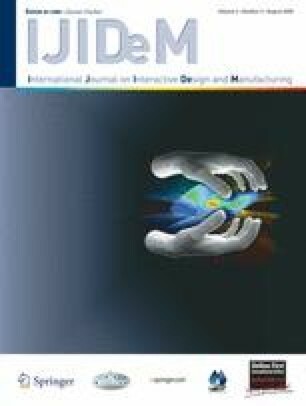 In this paper we describe the design and the development of two specific tangible user interface (TUI) platforms. The aim of the first one is to support computer aided design (CAD) parts assembly operations in the mechanical product domain. The aim of the second one is mainly designed to help stakeholders during the task of validation of subsoil model in the field of geosciences. In this paper, we propose a design methodology of the tangible parts (also called props) based on our previous experiences in TUI development. This methodology is mainly based on multidisciplinary work and user tests and we assume that this process is reproducible.